Pennsylvania Medical Malpractice arises when your doctor, dentist, hospital, nurse or other health care provider, causes severe harm or wrongful death by deviating from the acceptable standards of care. These standards are created by the medical community because that is who has the most knowledge about medical diagnoses and procedures. Despite what fake news publicity may say, lawyers have no say in whether a doctor is guilty or malpractice by deviating from the medical establishment’s standard of care. 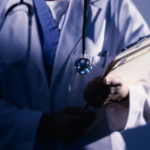 Medical Malpractice is not found simply because there is a bad result. Many medical procedures have a level of risk, and poor outcomes cannot be avoided. The bad result has to be caused by the failure of the medical provider to follow accepted rules on medical care. As a Pennsylvania Medical Malpractice Lawyer, I, Joseph Monaco, can offer my over 25 years of experience as a trial lawyer to help evaluate whether medical malpractice was committed. Call me to learn whether you or a loved one have a case. Due to the complexities, time and costs associated with medical malpractice cases, the damages threshold for bringing a claim is high. There has to be a catastrophic or fatal outcome. This is due to the fact that pursuing a Pennsylvania Medical Malpractice case will cost tens of thousands of dollars, mostly associated with retaining expert medical witnesses to evaluate and explain what went wrong. The experts will need to review the medical records and certify that that malpractice took place before a lawsuit may even be filed with the Court. This is called a Certificate of Merit. Plus, the medical expert has to have the same specialty as the treating physician or other medical provider being evaluated. Call or text me at 215-546-3166 or 717-996-4411 for a Free Consultation and the No Recovery, No Fee Guarantee.